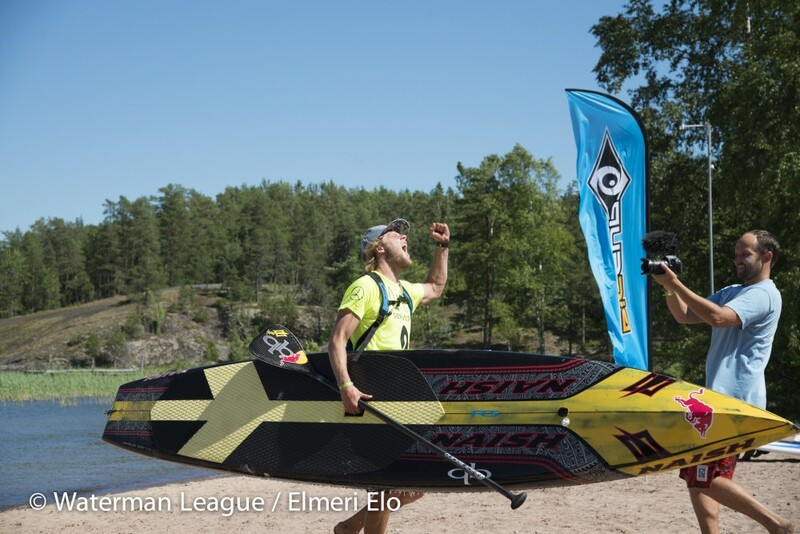 After the Stand Up World Series finally got started in Barcelona last week, the franchise leapt straight over to Finland for event number two(*) on July 3rd & 4th, the Sieravuori SUP Masters. With one of the most serene, picturesque locations you could possibly imagine for a SUP race, a very small but fairly elite crowd battled it out in the standard distance/sprint format around one of Finland’s countless lakes (the country is known as the “Land of a Thousand Lakes” though in reality it’s got closer to 200,000 of them… there’s certainly no shortage of good SUP’ing spots in this place). 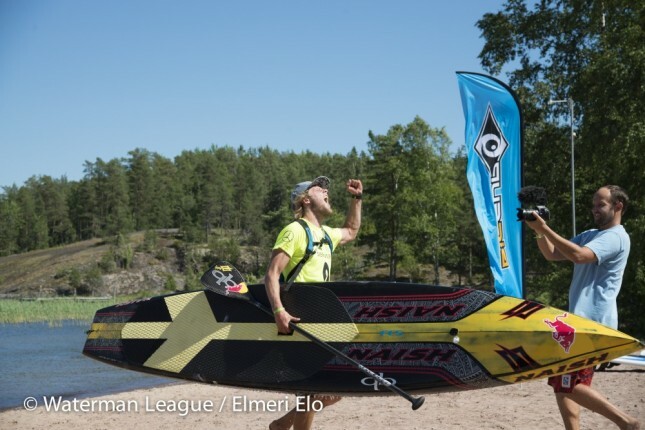 Coming out on top was everyone’s favourite Danish Viking, Casper Steinfath, who took the overall win ahead of world #11 Zane Schweitzer and one of the new heroes of the Euro racing scene, world #17 Leonard Nika from Italy. Unfortunately the race didn’t quite count for the a href=”http://www.supracer.com/rankings/”>SUP Racer World Rankings, scoring 13.5% on the Race Index to narrowly miss qualification (15.0% is the cut off). Anyway full results from Finland are below. Sieravuori is kind of totally out of the way, however it looks like an absolutely beautiful part of the world. And either way it’s cool to see the sport getting pushed to the outer reaches of Euro land. * Technically Finland isn’t part of the World Series proper, it’s a second-string “Challenger Series” event, which may or may not count for the overall World Series rankings (the World Series gets confusing sometimes).